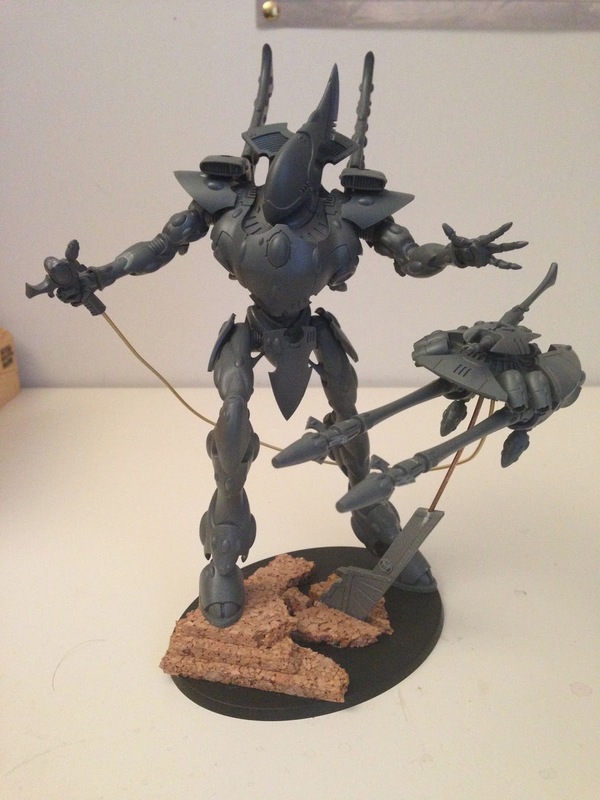 So, I did a TON of work on my Wraithknight conversion today. He's intended to be a part of my Eldar force allied into my Farsight Enclaves/Tau main force. I wanted to only use Eldar parts, but capture the feeling of the Tau. I believe I did so. I decided to use parts from both the Squadron Command Frame and one of the Eldar Support Weapons to make a Heavy Wraithcannon Gun Drone. The Wraithknight is controlling it with a hand held device. I really like how it worked out. I think once I finish the painting, the copper tube holding up the drone isn't going to be super obvious. 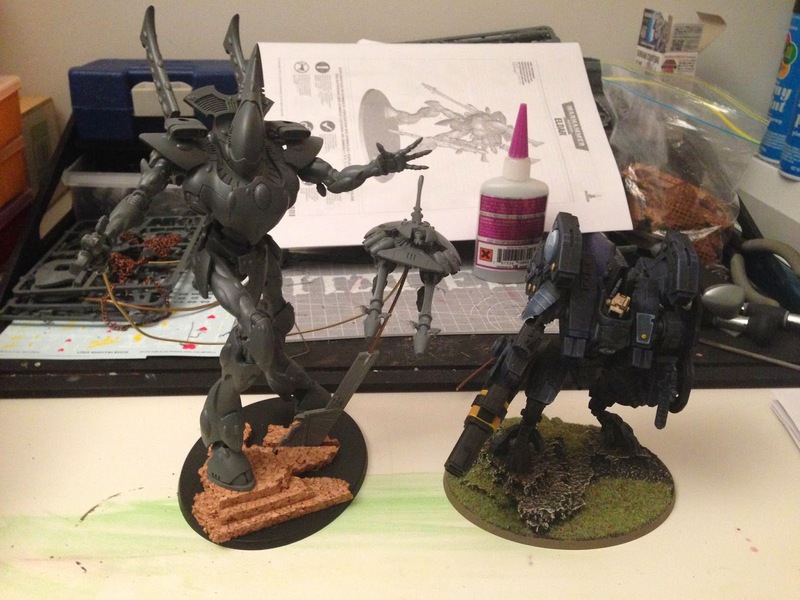 Size Comparison with a Tau Riptide. In all fairness, the Riptide has a somewhat hunched pose, so he's shorter than normal.